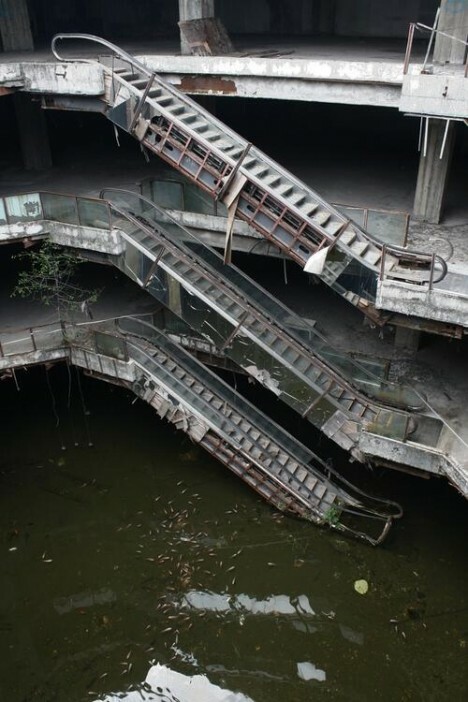 Built, closed, partially demolished, boarded up and ultimately deserted, the New World Mall in the capital city of Thailand has become home a strange and unexpected attraction. 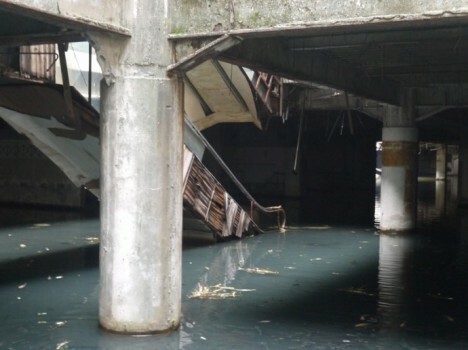 Abandoned nearly two decades ago after violating building codes, the roof of the structure collapsed in a subsequent fire, leading the building to be partially filled with rainwater. 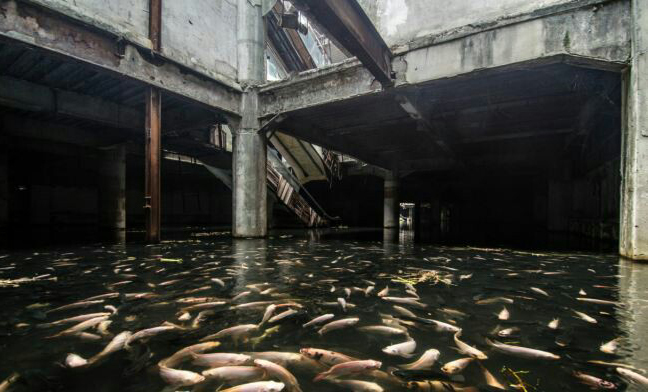 Standing pools throughout the place gave rise to a serious mosquito infestation, which the locals sought to combat by introducing fish that, in turn, bred, spread and inhabited the ruins. 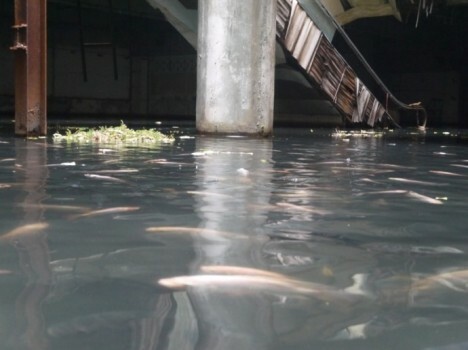 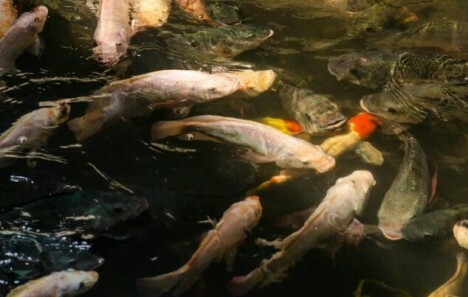 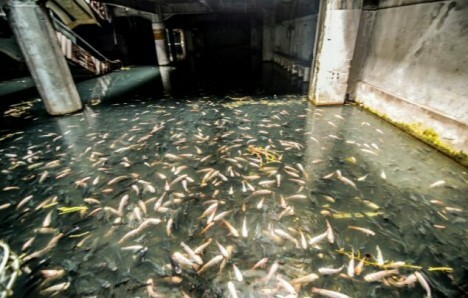 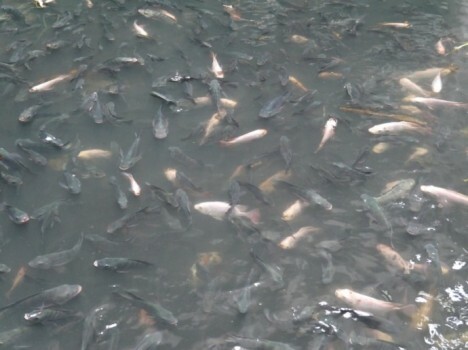 Since then, the mall has turned into a kind of alternative tourist destination where visitors flock to feed the fish, now occupying over 5,000 square feet of space originally intended for retail. 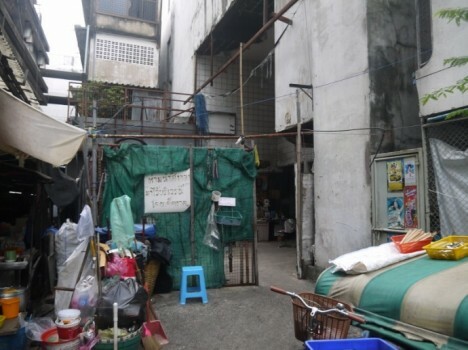 Vendors have even sprung up in the area to sell scraps of food – throwing anything else into the standing water is strictly forbidden. 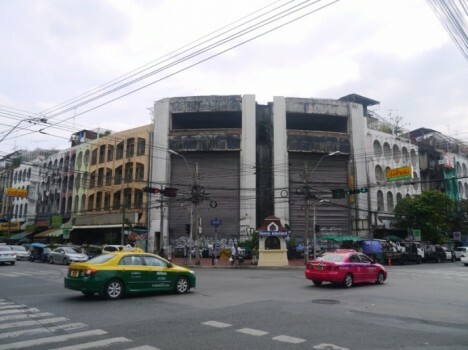 More images of the building and its context can be found here.